Home Event APAO APAO 2018, Hong Kong. 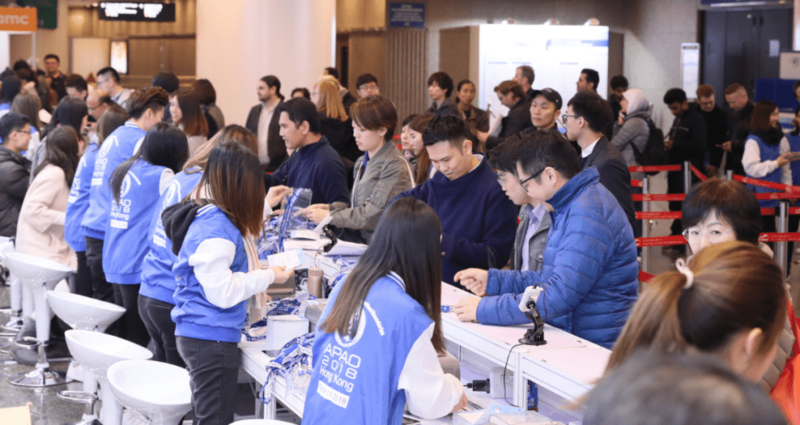 At the beginning of February all eyes of the ophthalmic world were on Hong Kong, where the 33rd Asia-Pacific Academy of Ophthalmology (APAO) congress took place. Frey booth enjoyed great interest. The extensive scientific program of this year’s congress made the event very popular. We have often had the opportunity to have an interesting and substantive discussion and almost a workshop analysis of the latest functions and capabilities of our devices. These valuable experiences and intensive networking with our guests allow us to enjoy the participation in APAO 2018. Creativity and technology without Boundaries – was the main theme of the event, which is developing excellently and is a great place to expand your knowledge, skills and a group of business partners. See you in Hong Kong – APAO 2018! Frey at Engineering Job Fair.